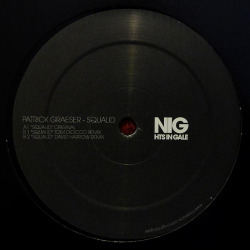 It’s the second release on NIG (Nights in Gale) records and I love the record because it’s so diverse: there is a massive techno tune, some very dissected minmal soundscape techhouse thing by Tom Dicicco and a deep dubsteppy remix by David Harrow. Now, it has gotten some very mentionable mentions from Japan and Italy, good feedback from Timo Maas and Laurent Garnier and, amongst others, charted by Ryan Elliot. Here is Patrick’s latest mixtape! You can book Patrick at Confidance booking or just follow him on MySpace or Soundcloud.